This development has had planning approved. The specification of our apartments vary to a degree with each apartment in every development, but this will give you an idea of what you'll find within a new one bedroom McCarthy & Stone retirement apartment. This development has had planning approved. Dream of escaping to the coast for your retired years? Dover is the perfect location, boasting the stunning Dover-Folkstone Heritage Coast, a thriving local community, and easy access to France and Europe across the channel. Creating a home at McCarthy & Stone Retirement Living Plus development in Dover is a guaranteed way to make the most of your retirement. Every apartment in our proposed Retirement Living Plus development is carefully planned with intelligent design, to maximise the space and ensure a comfortable and relaxed retirement. We limit the number of apartments in the gated complex, to encourage a close-knit community feel. There are 70 proposed one and two bedroom apartments available exclusively to the over 70s. The communal spaces will offer plenty of opportunity for new residents to meet their neighbours and make new friends. The homeowners' lounge is a comfortable and sociable space, and the on-site bistro offers hot and cold drinks, meals and snacks. The landscaped gardens within the complex are located to the rear of the site, bordering residential apartments to create a secluded area – the perfect place to relax during fine weather. We ensure the safety and security of our residents with hi-tech security systems. Each apartment has an inbuilt camera entry system, so you can see who's calling before permitting them access to the complex. Burglar alarms are installed in every apartment, as well as secure, lockable windows. The 24 hour emergency call system gives residents and their loved ones peace of mind. Guests are always welcome at McCarthy & Stone Dover, where there's a Guest Suite for visitors to spend the night. Perhaps most famed for the striking White Cliffs which take its name, Dover is a thriving town on the South Eastern coast of England. A port town with regular ferries crossing the Straits of Dover to Calais in France, the majority of Britons will have passed through Dover at one time or another. Dover has plenty of local amenities for residents, including supermarkets, banks, a shopping centre, restaurants and takeaways, and an expansive local park. Connaught Park is a naturalistic open space, with mature trees and open grassy spaces. There are plenty of historic attractions and landmarks in Dover, which has been the site of many invasions and battles during England's history. The iconic Dover Castle is the town's most popular attraction, featuring a Military museum, medieval underground works, and a labyrinth of war-time tunnels. Fort Burgoyne, Priory Gate and the Western Heights of Dover are also popular historic attractions in the town. 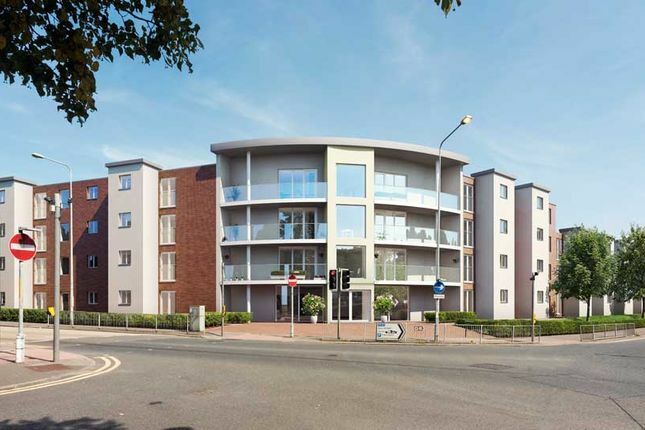 McCarthy & Stone development in Dover is conveniently located close to the town centre and its amenities. It's just 0.7 miles to Dover Priory train station, which takes from just over an hour to connect to London St Pancras International. The nearest beach is Dover Beach, just 1 mile away. The area surrounding Dover features some of the most stunning coastline England has to offer, including the White Cliffs of Dover, the South Foreland Heritage Coast, and the Dover-Folkstone Heritage Coast. Kent Downs aonb also stretches to the fringes of Dover, meaning there's plenty of natural beauty to be seen when you retire to this charming town. Property descriptions and related information displayed on this page, with the exclusion of Running Costs data, are marketing materials provided by McCarthy & Stone - Dover RL Plus, and do not constitute property particulars. Please contact McCarthy & Stone - Dover RL Plus for full details and further information. The Running Costs data displayed on this page are provided by SmartNewHomes to give an indication of potential running costs based on various data sources. SmartNewHomes does not warrant or accept any responsibility for the accuracy or completeness of the property descriptions, related information or Running Costs data provided here.